As promised last night, my dilemma is solved, using the same image in two different ways. Paula is asking for traces of the past in nature, well despite a volcano erupting, there are traces of the past in the little cottage as well as the silver birch trees that are struggling to hold on. Paula has rather more dramatic volcanic traces to share with us, and you can join in here. Becky’s June square challenge continues, in Lisbon.I had a bit of a dilemma with my photo because it fits Paula’s challenge too. You’ll see what I decided to do tomorrow. 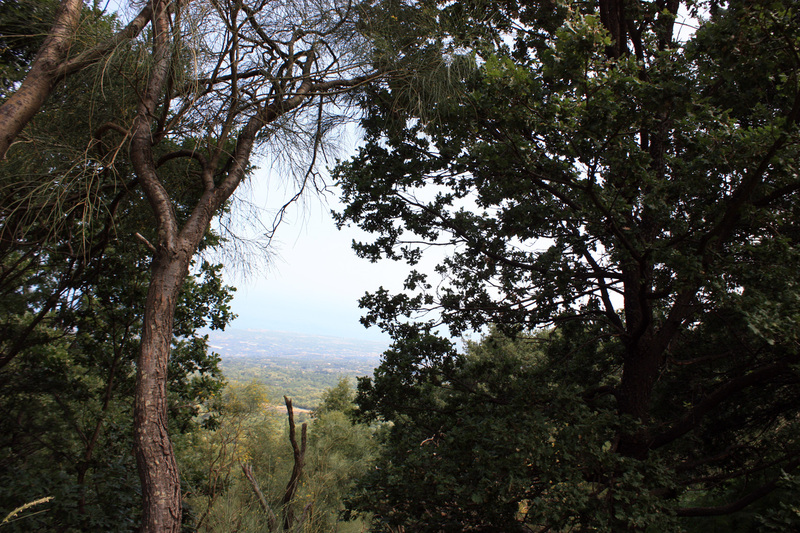 I took the photo somewhere in the region of Monti Sartorius, Sant’Alfio in the Mount Etna National Park. Etna erupted several times between 2011-2012, this was June 2013 and there was plenty of evidence of damage. No one has ever died as a result of an eruption. The Blue Hour . . .
Is the theme for Paula’s Thursday special, here’s my offering, early evening in Fiumefreddo, Sicily. Ahh but Paula has blue and gold! I’m having one of those spells where I’m all behind with everything, blogging included, and it’s not likely to improve much for a couple of weeks. I did read that the Weekly Photo Challenges are coming to an end, so I decided to post for the penultimate one, the theme of which is twisted. I hope these images, taken in Sicily, fit the bill. It’s a pity it’s ending, but as Jude said it has become a bit repetitive recently. It’s been a great way of making friends, from all over the world. there are lots of smaller challenges of all kinds, and who knows, Lucid Gypsy might become a little less photo lead. We each have our own perception of danger don’t we? I have no fear of heights, but having been bitten by a spider I find them dangerous. I’ve been in a huge bat cave in Borneo, but because it was a climb up inside, saw no danger. Now, put me in a dark hole in the ground, that’s my idea of danger. Being enclosed like that is scary, really grim. But I did it anyway, some fears are meant to be conquered aren’t they? But I won’t be going down a lava tube again! 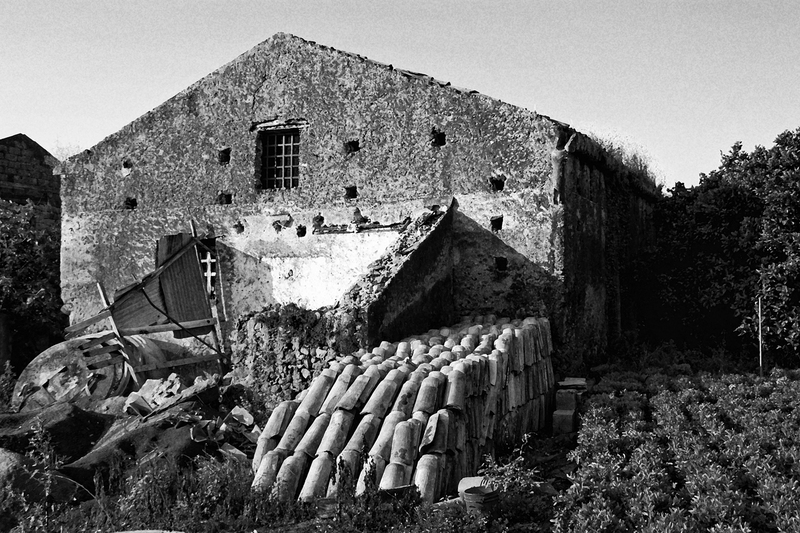 This old farm building in Fiumefreddo, Sicily was surrounded by orange groves. I stayed there, not in the barn, but in an agriturisme hotel on the same site, a few years ago. I wonder if the building has been renovated or has tumbled down. Traces of the past is Paula’s Black and White Sunday post here, if you’d like to join in. On the Way To . . . Sometimes we find interesting places on the way to other places, Michelle at the Daily Post asks us to share them for this weeks photo challenge. Here are the ones I’ve chosen for you. 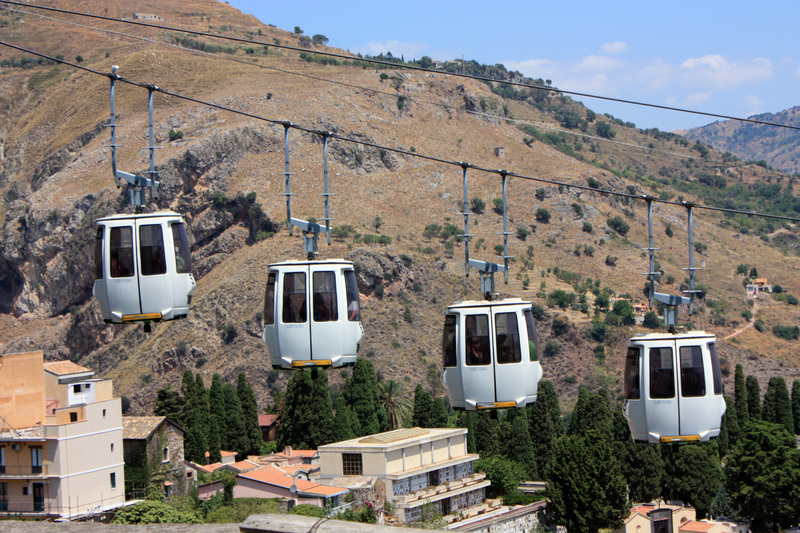 Taormina in Sicily is real jewel of a town and one of the ways of getting there is by train. We travelled from Fiumefredo and were delighted to find this stunning ceiling in the ticket office when we arrived at Taormina station. This road is on the way to the entrance of Sepilok, the orang-utan rehabilitation centre in Sabah, Borneo. It was a hot, and humid walk from our rain forest lodge, but well worth it for the amazing experience of seeing these wonderful creatures up close. The long road from the north of Ghana was dotted with villages, where people would rush out to greet us, and we could by eggs and fruit for lunch. This is the view from the air on the way to Sandakan, from Kota Kinabalu, Borneo. The coast is surrounded by coral reefs, the only time I’ve attempted to snorkel. I love the sea, but I’m not a strong swimmer, so I had to be brave to try it. It turned out to be one of the most incredible things I’ve ever done. There are lots of on the way posts to visit here, and you can join in too! Parco Dell’Etna in the north east of Sicily is a dynamic landscape. When I visited in 2013, there were nineteen eruptions, hence climbing up to the crater was prohibited. Etna, Europe’s highest volcano is 3323 metres high and also the most active. We spent a day driving around the national park, but soon realised that the best way to see it was with a guide, so we shared a 4 wheel drive with two other travellers. We set off from Monte Sartorius, on a 5 kilometre trail to 2000 metres. A bright sunny day but getting cooler the higher we went. Getting higher . . . Some of the lava has very sharp edges, some gives way under your feet, concentration is necessary! This path felt rather precarious, narrow, no grip and a steep drop. This was a two to three hour walk, steep in some places but not particularly challenging. It was a bit of a knee killer though and I could feel that I’d done something the next day, the reward outweighed the pain though! Mount Etna is one of the most active volcanoes in the world and last year, just after my visit, it became a UNESCO World Heritage Site. As recently as last month it was putting on a pyrotechnic display, closing the nearby airport at Catania. All was calm when I was there. Travelling friend and I stayed in an hotel with a distant view – if you craned your neck a little on the balcony, and ignored the buildings in the way. We went up twice, first of all independently and we couldn’t resist a guided tour a couple of days later. Here are some photos taken at about 2000 metres, cool and grey with mile after mile of lava from various past eruptions. In June there were miles of empty roads, lots of stopping places for photos and an almost creepy stillness. You quite quickly descend to sunshine and there the flora and fauna is pretty. 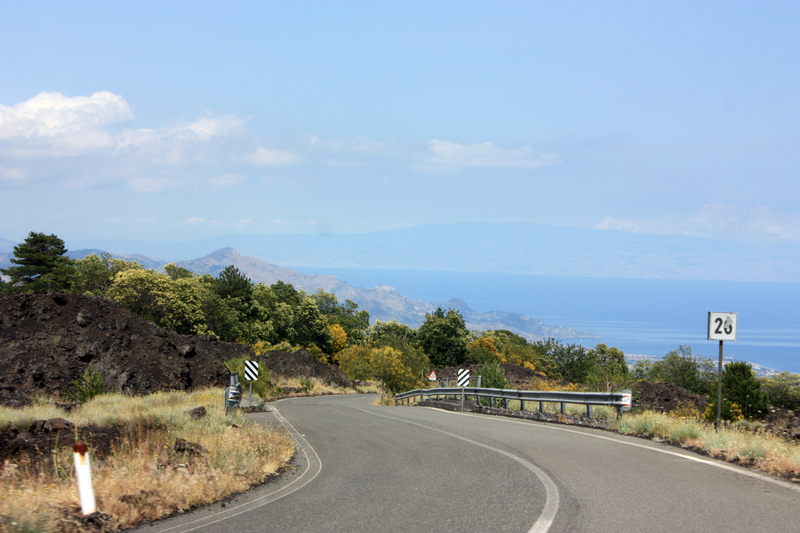 Etna can be seen from all over the east of Sicily and when you’re up there the views down are amazing. I enjoyed looking back on my time on Etna, I’ll post some photos of the guided tour soon! For this week’s photo challenge, share your interpretation of “on the move.” You can be the subject of your image, or you might want to experiment with movement or transportation in a different way. Says Cheri Lucas Rowlands over at the Daily Post. So for this weeks challenge I decided I would focus on the coast. except that in the first photo you will just have to believe that I was heading for the coast! And here are a few more shots on the move.